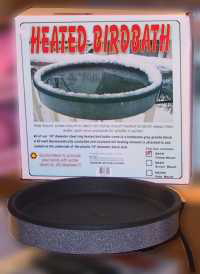 De-Icers and heaters prevent the water from freezing. They will not "cook" or electricute the birds. Concrete & pottery baths will crack in the winter if a heater is not used. All require a suitable outdoor extension cord. Your Uncle Jasper may be able to go the whole winter without a bath, but birds cannot. This 12" diameter bath has a 50 watt thermmostatically controlled heater. Comes with pole to stand or can be screwed to deck. 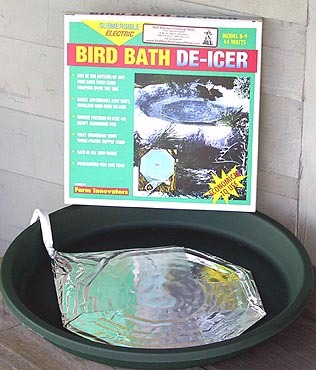 A great way to attract wintering Bluebirds or even your Uncle Jasper. This unique cast aluminum design is hefty and will lie flat and stay put. It will not turn on until the temp falls below 35 degrees F. Safe for plastic or concrete baths. Runs on 150 watts. Three Year warranty. 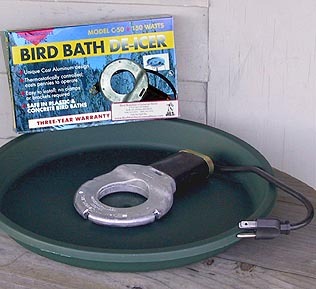 We made up the Jiffy Pop part of the name, but that's exactly what this bird bath de-icer looks like. A simple aluminum foil covered heater that runs only on 44 watts.  Will lie flat on the bottom of a bath, good for shallow baths. You might need a rock or small weight to hold it down. It is not thermostactically controlled, it will be on as long as it is plugged in. One year guarantee. 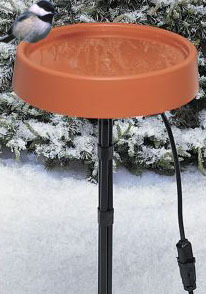 This heated birdbath comes in three mount styles: clamp on, ground (comes in a stand with 3 in. legs), or pole mounter. Thermostacally controlled. Pole comes in the box. 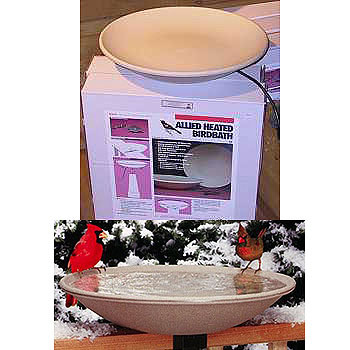 This is an attractive, jumbo heated birdbath that looks like it could also bring in satellite tv. It is 20" in diameter and deepens to 2", a depth birds love. Can clamp on to almost anything - an existing stand, railing, wooden or metal post, or simply rest on any flat surface. Easily tips up to empty and clean without undoing clamp. Runs on 150 watts and is thermostatically controlled. Does your bird bath look like the sink in a college dorm? You should really clean your bird bath more than once a millennium. This stiff 8" brush will make your bath look as good as new. Buy two and give one to your kid to take to college.